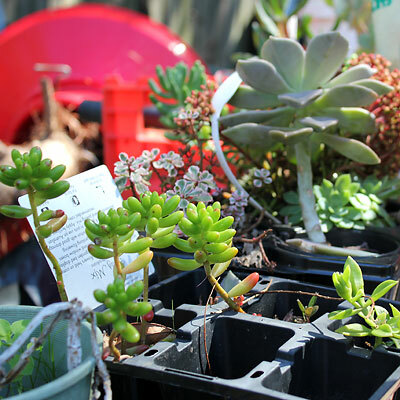 Succulents are the easiest way to get some beautiful foliage into your home. 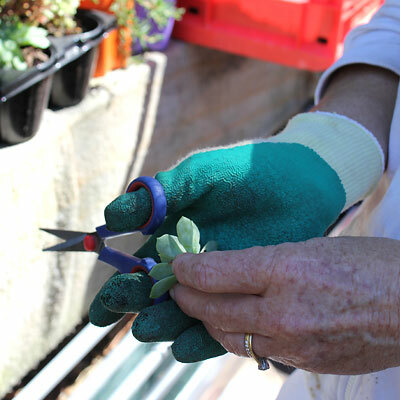 As plants that are used to high temperatues and low precipitation, they are super easy to look after and very hard to kill (even for those non-gardeners!). 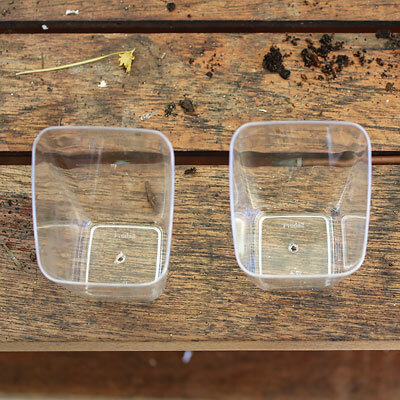 POKE small holes in the bottom of your container using your needle or skewer. These holes are for drainage. 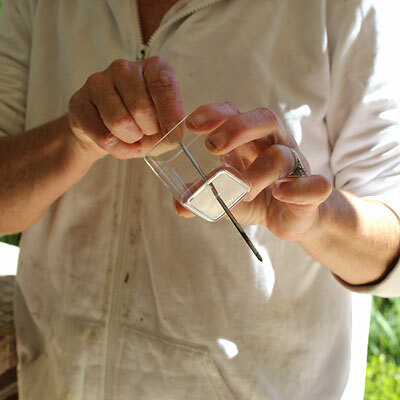 TIP: Heating the edge of your needle will make it easier to poke through the plastic. 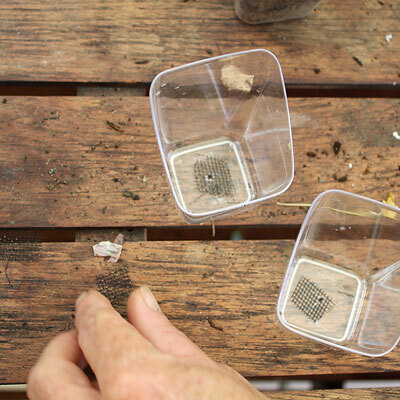 CUT a square piece of mesh material and LAY it over the holes in the bottom. 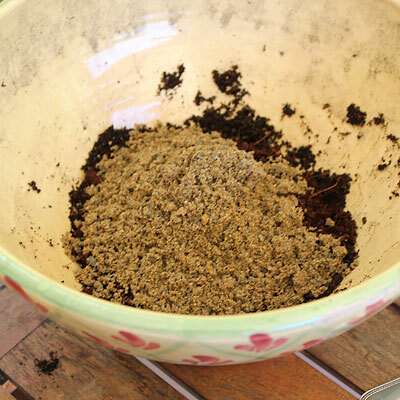 MIX the potting soil with some sand, two parts soil to one part sand. 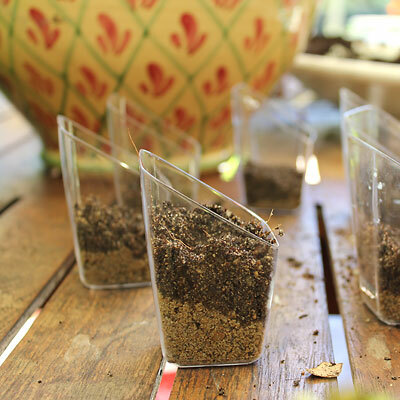 The sand helps to thin the soil out and allows the water to drain easier. 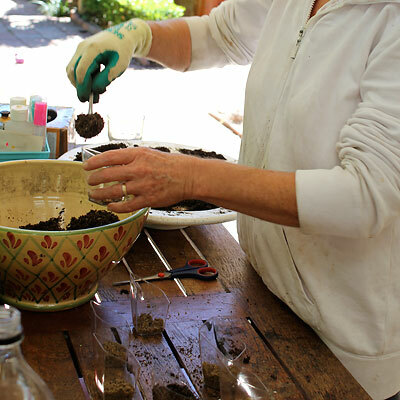 FILL your plastic containers with potting soil and sand mix. 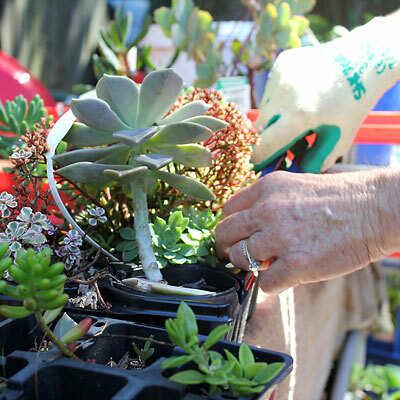 PICK your succulents. 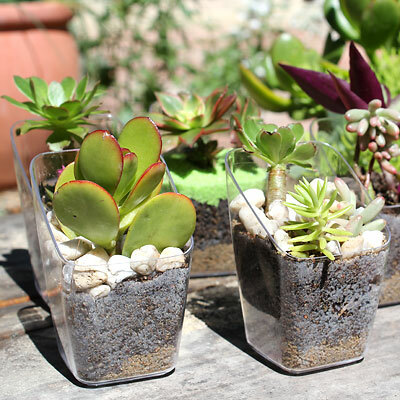 Choose different hights and widths to fill up the container, paying attention to the succulents that look nice next to one another. 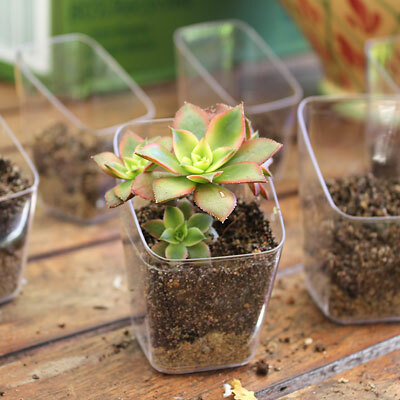 CUT your succulents down to size. Remember, the roots will grow within the container and become more stable in time. 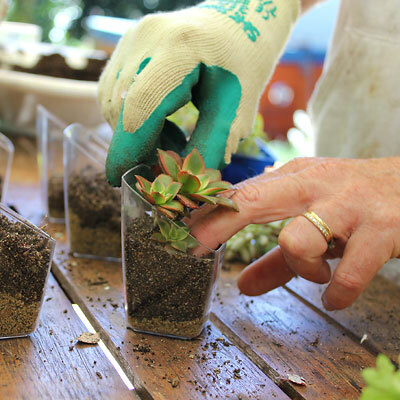 PLANT succulents into the soil in each container. 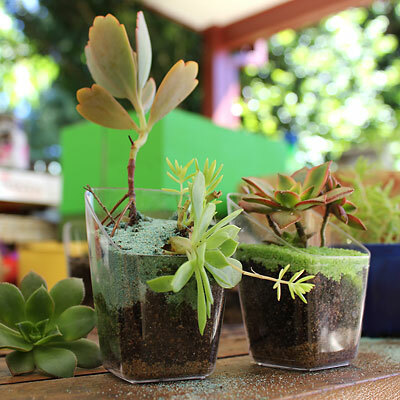 DECORATE the surrounding area of the succulents with pebbles and sand. 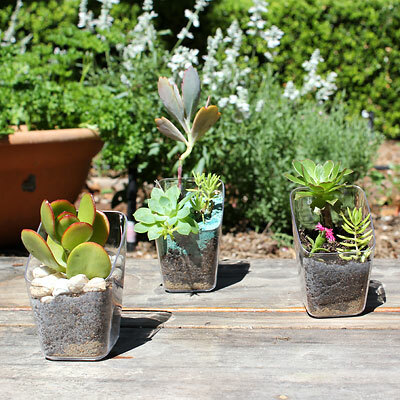 WATER your succulents and let them sit in some sun. A herb garden for your windowsill.